This beautiful wedding took place at Ashton Gardens. 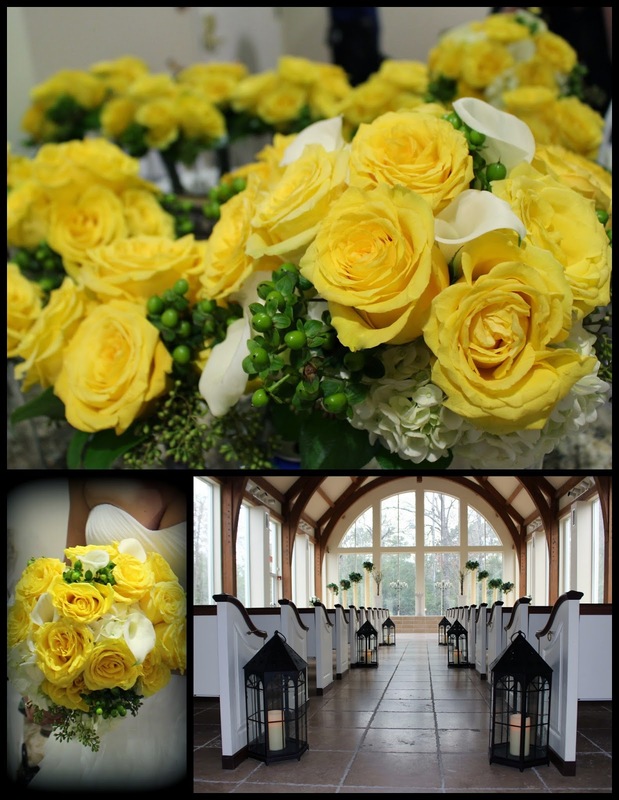 Bright yellow roses, white hydrangea and hydrangea, green hypericum berries were chosen for the bridal bouquets. 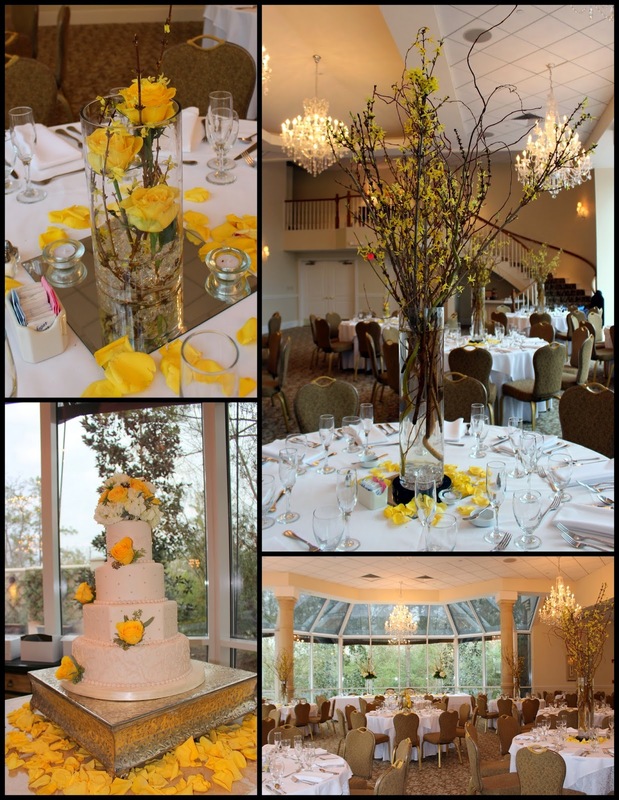 The reception kept the same theme with yellow roses stacked in cylinders on half the tables and the other half had tall cylinders filled with spring forsythia branches in full bloom. 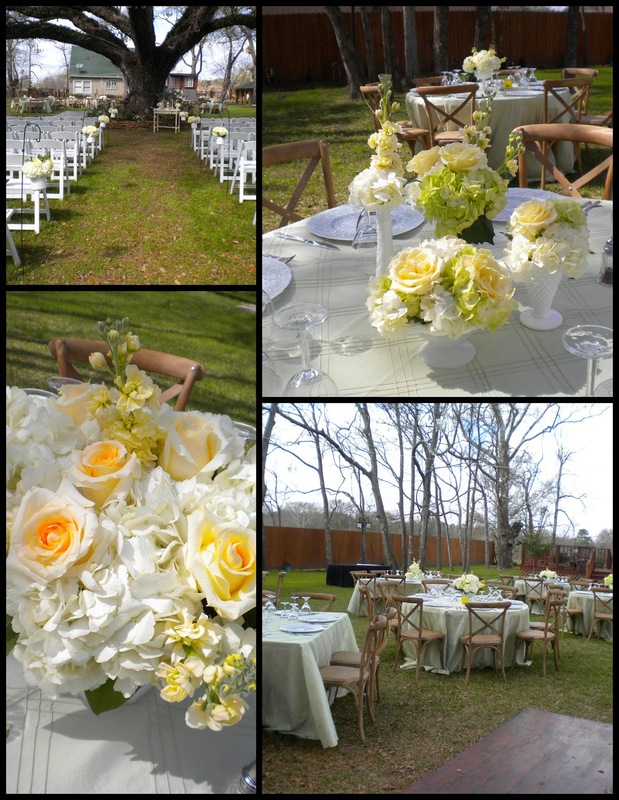 This wedding was set at Oak Tree Manor, so named for the beautiful, huge oak tree where the ceremony took place. The weather cooperated and the tables were set outside. Soft yellow roses, butter stock and hydrangea filled the assorted milk glass vases that the bride had collected for the occasion. 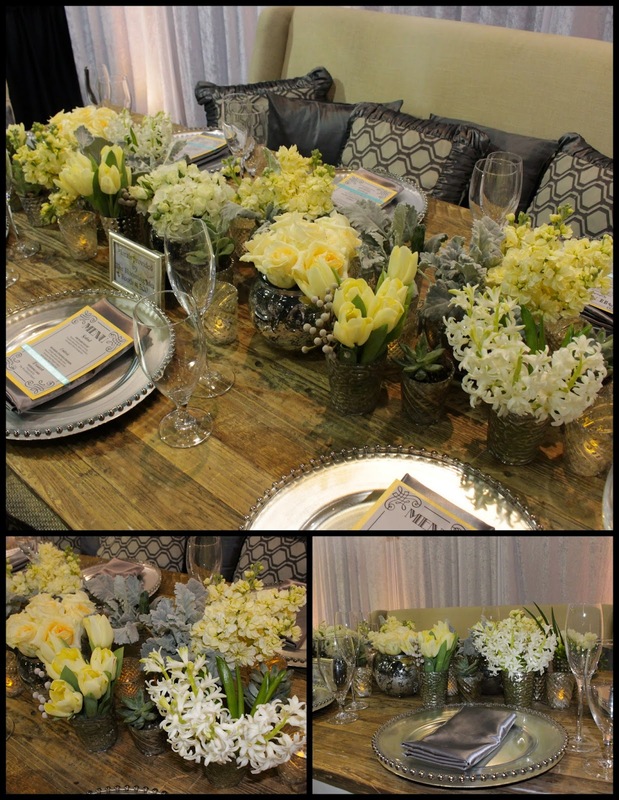 This table scape was set for the Dream Weddings Bridal Show in the Woodlands. We used a mix of butter colored spring flowers including tulips, hyacinth, freesia and stock, accented with succulents, dusty miller and silver brunia.